Your race to the finish makes great things happen for Casa Chirilagua! Meet new friends and do good by running, walking or volunteering this year. 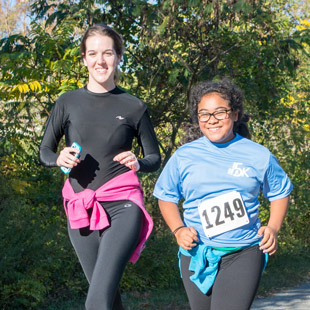 When you register and run, you’ll have a great time and play a huge role in supporting our work! 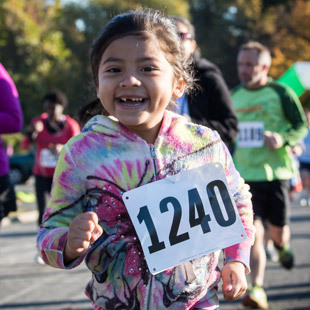 Sponsored by Christ the King and other partner churches, this year’s 5k will have opportunities for the whole family. Races include a certified 5k course and a 1k fun run for kids. There will be classes with prizes for all age groups and even a class for adults with strollers! 1. The first is to check out our race-day volunteer opportunities. Race begins at 9:00am. We will run rain or shine! Sorry, no refunds. The course begins and ends at the Eisenhower Ave, Park Entrance. We look forward to running with you!